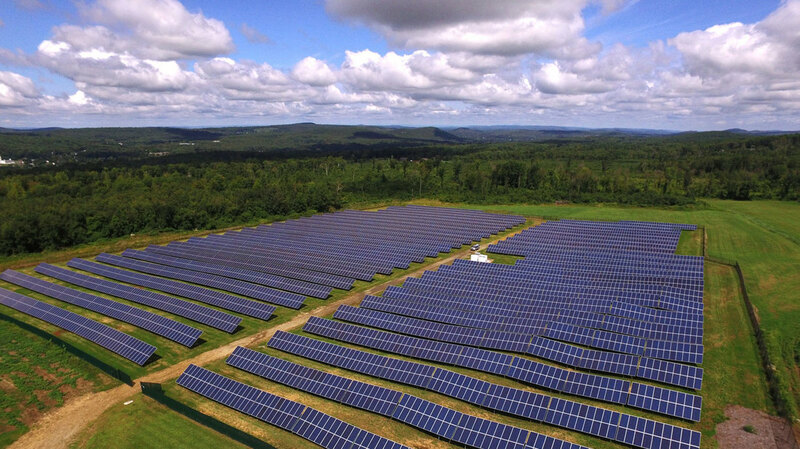 A 2.6 MW community solar project in Monson, Massachusetts, Monson Solar generated more than 3,000,000 kilowatt-hours of clean, renewable energy in its first year of operation, enough to power over 250 homes and offset over 2,500 metric tons of carbon dioxide from traditional sources. Monson Solar was installed in one of several farm fields that make up Westview Farms, a sixth-generation dairy farm. With the addition of Nexamp’s community solar project, the farm continues to invest in its community by providing sustainable, clean energy and cost savings. Participants include local residents, small businesses and non-profits who subscribe to the project through Nexamp’s Solarize My Bill™ program. Monson Solar will also provide a Worcester-based hospital with well over $1 million in savings over the project lifetime, freeing up more resources for doctors and more dollars to serve their patients.